day to day MOMents: Geology Lab for Kids by Garret Romaine Featuring 52 Easy Projects! Geology Lab for Kids by Garret Romaine Featuring 52 Easy Projects! 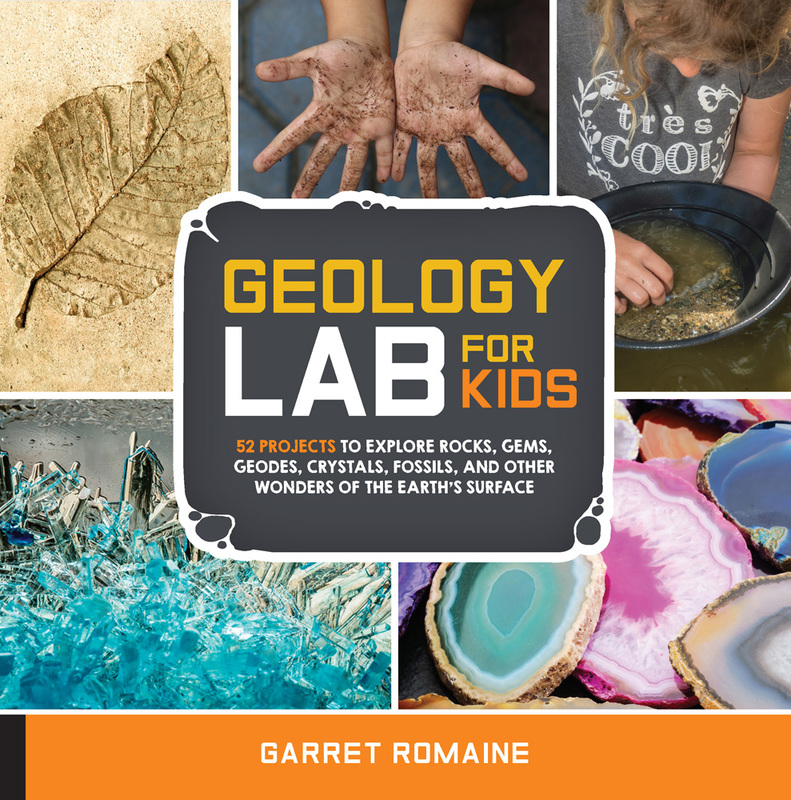 Whether you are a homeschooling parent or not, I think you will love the book Geology LAB for Kids by Garret Romaine. It contains 52 projects to explore rocks, gems, geodes, crystals, fossils, and other owners of the earth's surface. I think we can all agree that one of the best memories are made when doing projects together, and children learn the most through doing vs. simply watching or reading. The projects inside range from easy to advanced. I considered some advanced since some require some items that the everyday person might not have, but overall I am impressed by the many that don't require specialty materials or real skill. It's just the kind of resource parents and teachers can use to give children the opportunity to learn through play. There are opportunities for readers to learn through so many easy projects. Our favorite bookmarked pages include "lab #48 - Glamorous Goo" where we will be making magnetic smile with simple materials like white school glue, liquid starch, water, and the most unconventional item being the iron oxide, ferrous oxide or magnetic sand that is needed. The steps are written out with photos, along with information about the science behind the fun project. There are a few projects inside that use food in the experiments, but with 52 projects there are enough to go through even with skipping those. My daughter has been collecting rocks everywhere we go, this book shows us how to identify the most common rocks and minerals which makes her collections so much more fun. How are insects trapped and preserved in amber? How does water shapes mountains, valleys, and canyons? How does a volcano form and erupt? How a geyser uses heat beneath the earth's surface and more!